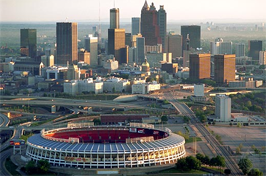 Enjoy the soothing Southern air in Atlanta’s Piedmont park, catch a game with your love, or simply enjoy the grace and elegance of Atlanta’s architecture. 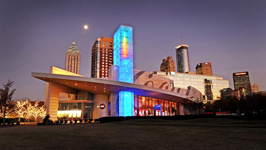 Atlanta casts a romantic spell no matter what sort of romance you and your sweetheart enjoy. 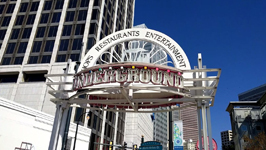 Come for a visit and leave with precious memories. 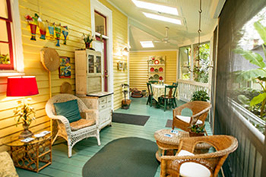 “Upon entering this beautiful Queen Anne Victorian home, bed and breakfast guests are transported back to the time of the home’s construction in 1892. 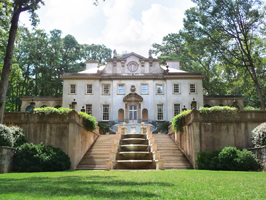 Sugar Magnolia, lovingly restored to its original charm and beauty, proudly displays its antiquity in many of its unique features — a three-story turret and grand staircase, six fireplaces, oval beveled windows, hand-painted plasterwork and the front hall’s magnificent crystal chandelier.” Bring your love for a romantic stay and let yourself be carried away by the charm and elegance of this Victorian bed and breakfast. 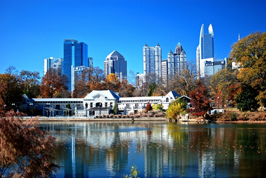 “Piedmont Park has a rich history spanning over the course of nearly two centuries. 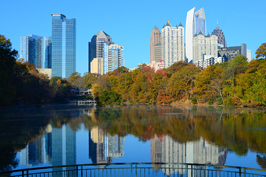 Since 1822, Piedmont Park has continuously evolved, changed hands, and underwent several transformations. 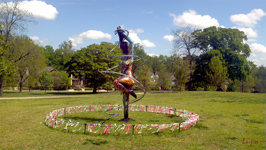 It first began as a forest, then a farm, then a fairground and suburban park, and finally to the urban park that it is today.” With the parks rich history, there are always things to explore. 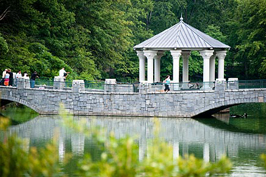 From enjoying a picnic in the park, to taking a trek through the grounds to experience the past, this park is a great spot to spend time with your love. 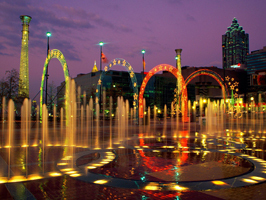 The park is Atlanta’s biggest city park and offers bike trails, hiking paths, and even a honey bee exhibit and butterfly haven. 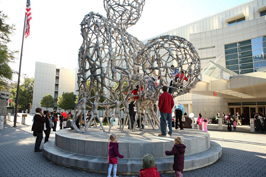 You can take a tour or just get out and enjoy nature right in the middle of the city. 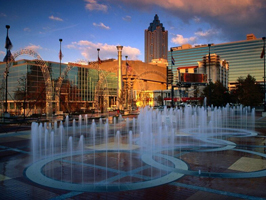 Atlanta has a great many sights to see and one of the best ways to ensure you see all the hot spots Atlanta has to offer, is by taking a tour. 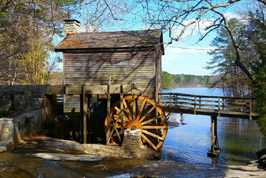 For the sake of romantic nostalgia I suggest taking the trolley. 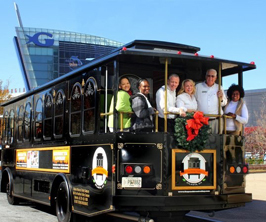 The trolley tours hit upon most of Atlanta’s must see sights like underground Atlanta, Olympic Park, the Fine Arts museum and the capitol to name a few, and it offers a charming way to see them. 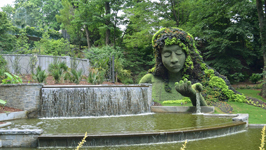 If you are looking for a lovely place to take your sweetheart for a stroll, but prefer a more formalized setting, Atlanta is home to the Atlanta Botanical Garden, where romance is sure to bloom. 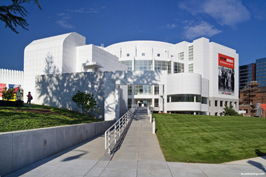 Atlanta is also home to an aquarium, a zoo, and a handful of museums, which all can make great places for spending the afternoon hand in hand with your special someone. 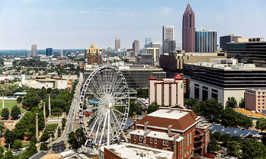 If you and your love would instead like to sit awhile and enjoy a show, Atlanta, GA is also home to the Fox Theatre, where you can see theatrical performances, or listen to a concert. 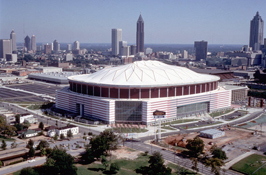 “Atlanta is home to professional franchises for five major team sports: the Atlanta Braves of Major League Baseball, the Atlanta Hawks of the National Basketball Association, the Atlanta Falcons of the National Football League, the Atlanta Dream of the Women’s National Basketball Association, and new as of March 2017, Atlanta United FC of Major League Soccer.” Beyond professional teams, Atlanta, GA also has a strong fan-base for its college teams as well. 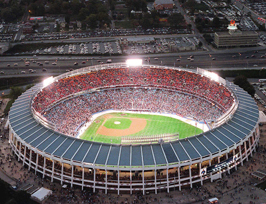 With so many professional teams to choose from you will always have a game to watch with your love.